I was late today. Almost a full 30 minutes. That isn’t good, considering it was my first time back to Steps On Broadway after being gone for almost two weeks. Ever since I took on a adjunct lecturer position at Queens College, every Thursday I make the commute from Queens to the Upper West Side. I drive, and I make it just in time. Not today. The questions were piercing. They echoed again today. I now consider myself failing as a teacher if the learning culture around my class is one in which the students are reliant on me for direction and motivation. It’s one of the reasons the Tap Into Freedom system is designed the way it is. 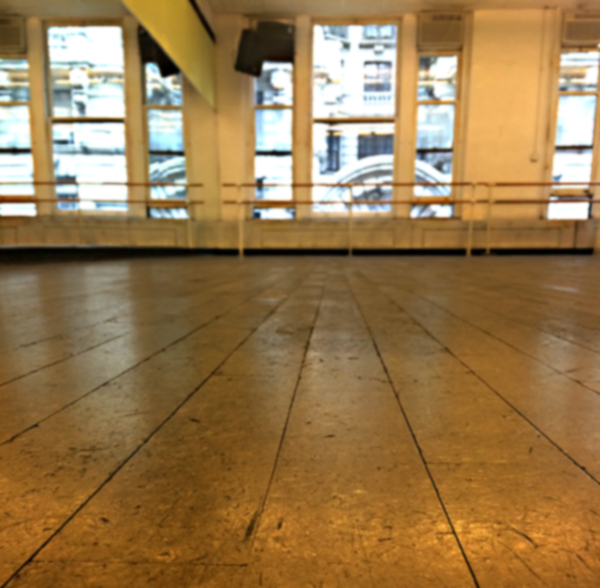 When I walked in and noticed the empty studio, I took out my shoes and proceeded to dance. Even after running clear across Central Park, I got a little workout session in, and it felt good. If we’ve already committed a certain time to the practice of our craft, it would be good to stay true to our commitment to ourselves, regardless of the change of context. Lots can change. The teacher could be a no-show. The music we wanted to work out to could be unavailable. We could be tired or not in the mood for a session. What can we do? We can practice. Practice dancing as a way of getting in the mood. Practice with the music only in our head. Practice the art of self-motivation and guidance. In the particular case of an absentee teacher, we can practice the things we think the teacher might have taught. We can use the opportunity to embody their process. There is always something to practice, and if given the space (especially in NYC), I would hope that we would all take advantage of it. These aren’t excuses for me or a transference of blame to anyone else. I was late, but wanted to share the thoughts that the moment triggered. It’s always easier, more fun, a bigger high, to take class from someone else than to train yourself, but you only own your craft when you own your training. To anyone who did wait for me today, I am sorry I missed you. In the rare occasion of a next time, I hope I can join in your work out. NOTE: Some studios will announce the cancelation of a class, and then ask all the students to leave the room. They are strict about this due to studio rental policies. Solution? Get your refund for the class, then rent the room. The expense might be more similar than you expect.